Share the post "Amazing Properties Of Honey"
Honey is the perfect moisturizing face wash. Just wet your face and dab on a little bit of honey. Massage it into your skin and then rinse with cold water and pat dry. You will notice that your complexion glows and honey’s antibacterial properties will help keep your skin moisturized without oiliness. 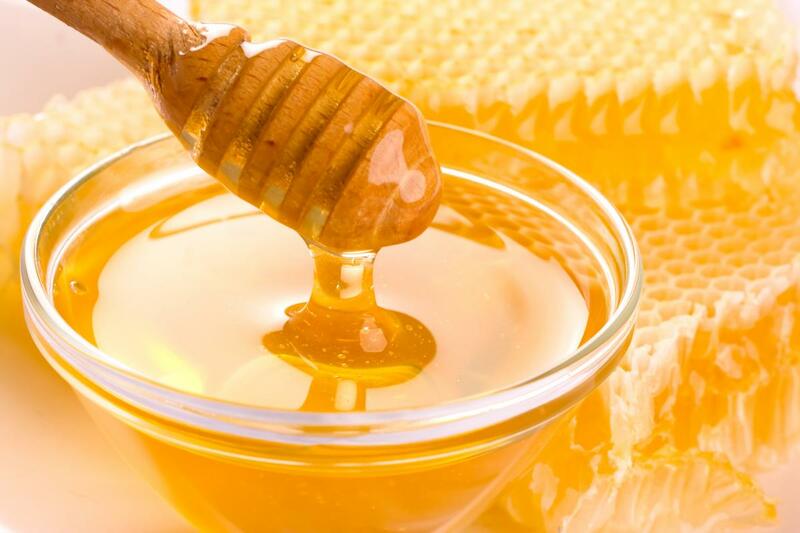 Honey has anti-inflammatory powers and the natural antibodies can heal pimples and prevent further breakouts. If you suffer from acne problems, dab honey on your blemishes and let is sit for half an hour. Then rinse with cold water and pat dry. Do this for a few days and you should notice a big difference in your skin. Honey is a great natural conditioner for your hair. Combine a teaspoon of honey with four cups of warm water. Wash hair as usual and then pour the natural conditioner over your locks. Don’t rinse it out. Your hair will have a beautiful shine and it will be smooth and frizz-free. Honey is a great addition to your bath water! It will moisturize your skin and the antispasmodic properties will help you relax and unwind after a long, stressful day. Try adding a tablespoon of honey and 8-10 drops or lavender essential oil to your bath water. Burns can be extremely painful and easily become infected. Honey naturally fights infections and has an anti-inflammatory effect so it is a natural way to heal burns. When you suffer from a sun burn or other minor burn injuries, wash the area with cold water, pat dry, and then cover the area in honey and cover it with gauze. Change the gauze daily and repeat the process with fresh honey until the burn is fully healed. Honey is a natural antibiotic. When you have an open sore or a nasty cut, honey is the perfect natural medicinal aid. Just clean the wound, apply a dab of honey, and cover it with a bandage. I once had a staph infection on my ankle that was not responding to antibiotics. I applied raw honey to the wound and covered it with gauze. I repeated the process twice a day for three days and it healed on its own! If you have a sore throat, you can ease the pain by swallowing a tablespoon of honey. For strep throat infections, mix up a combination of one cup of warm water, 2 tablespoons of honey, juice from ½ a lemon, and a pinch of cayenne pepper. Drink the solution twice a day and it will soothe the pain and heal the inflammation in your throat. If you are feeling nauseous, try adding a few teaspoons of honey and a squirt of lemon juice to your tea. Honey will coat your stomach, ease painful cramps, and naturally reduce intestinal inflammation. If you are running low on energy, swallow a spoonful of honey. The natural sugars will give you a quick spurt of energy to help you get through the day, plus your body will benefit from the natural antioxidants. If you are suffering from insomnia, try adding a teaspoon of honey to a hot cup of caffeinated tea. Honey aides the body in absorbing tryptophan, which will naturally help you fall asleep. When you can’t stop coughing, try taking a spoonful of honey. It will coat your throat and ease a hacking cough much faster than dextromethorphan or other cough medications.